Gabriella Galvan is a ceremonialist, healer, mesa carrier and Sanctioned Teacher of the Pachakuti Mesa Tradition. 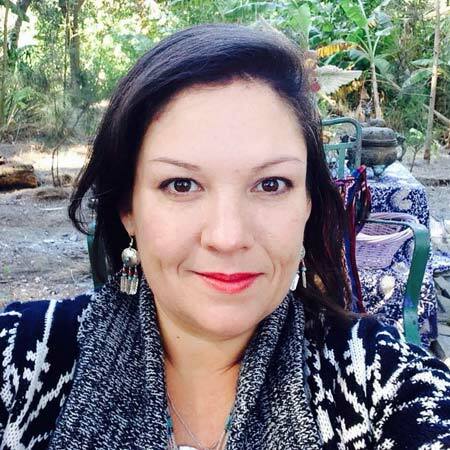 She is fully trained as a Shamanic Practitioner, Reiki Master, Advanced Dreamwork, Past and Between Life Regression therapist, Qi Gong instructor, Crystal healer and Intuitive/Spiritual Counselor. She walks the path of the Wounded Healer, with studies in a wide range of modalities, esoteric arts and communing deeply with nature and her guides, and by diving deeply and doing shadow work into her own psyche, has brought tremendous healing to her own life. This has been a driving force and catalyst in her service work with others as a facilitator and in teaching others to empower themselves and showing them that THEY are the true healers. Helping and sharing knowledge with others with a compassionate open heart has brought the greatest joy into her life. Gabriella currently lives in Brownsville, Texas. The magnificent journey that we take in life as a human being can be heartbreakingly painful and beautiful at the same time and a bittersweet reminder of the fleeting time that we have on this Earth. But it also reveals to us the sweetness and perfection of our Soul..